At our Toyota dealership serving Des Plaines, IL, we do our best to bring you the latest in well-known and popular Toyota cars like the Toyota Corolla. 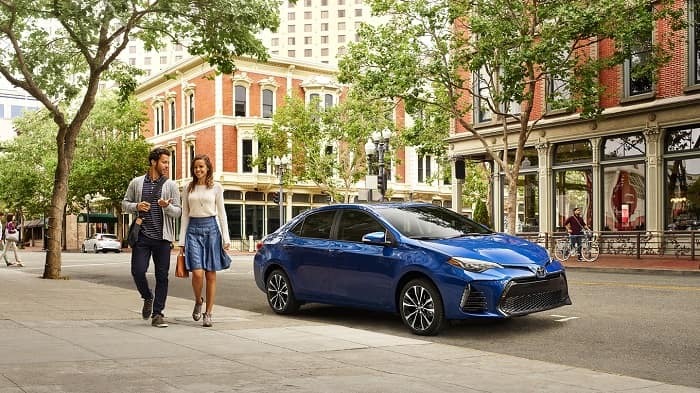 The Toyota Corolla has been a top choice for drivers and families in the Chicago area and all over the world, thanks to its reliability and feature richness, and the 2018 model continues to deliver when it comes to a safe and de-pendable car for everyday. Visit us at Midtown Toyota to take a closer look at everything the 2018 Toyota Corolla has to offer. The 2018 Toyota Corolla continues to improve upon what it already does so well. You’ll find up-dated styling, a spacious interior, and a strong safety profile. Each of the available six trim levels — the base 2018 Toyota Corolla L, 2018 Toyota Corolla LE, 2018 Toyota Corolla LE Eco, 2018 Toyota Corolla SE, 2018 Toyota Corolla XSE, and the 2018 Toyota Corolla XLE — comes equipped with a standard 1.8-liter, four-cylinder engine. While a continuously variable transmission (CVT) is standard, you can opt for a six-speed manual trans-mission in the 2018 Toyota Corolla SE trim. Thanks to a roomy cabin and supportive seats, you’ll be able to stretch out and ride in comfort to and from wherever you need to go on a daily basis. 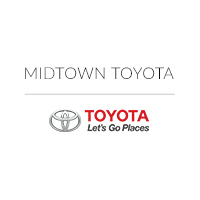 Schedule a test-drive of the drivable and de-pendable at our Toyota dealership in Chicago. Safety is a priority in the 2018 Toyota Corolla, and that starts at the base trim level. Standard safety traits include a rearview camera, forward-collision warning with automatic braking, a pe-destrian-detection, and lane-departure warning system. As for other technology features, you’ll have access to conveniences such as Bluetooth® con-nectivity, a navigation system, and Entune™ app smartphone integration. 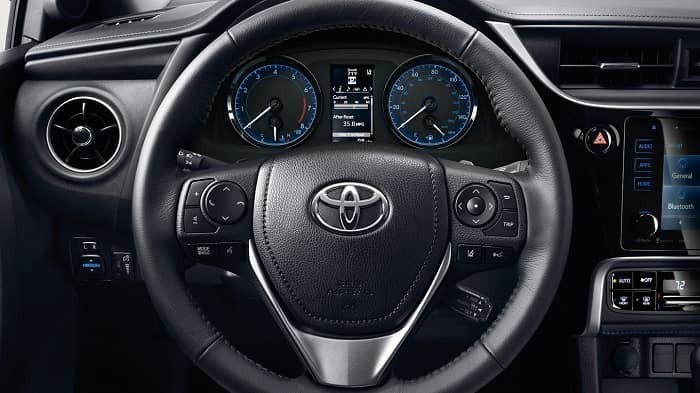 For a full list of all available and standard specialty features, come speak with one of our experienced Chicago Toyota dealers. If you’re interested in purchase a 2018 Toyota Corolla, take the next step to learn more about how this vehicle could complement your driving needs. Contact us online or visit your local Chicagoland Toyota dealer in person to schedule a test-drive.